The Faucet Diverter Adapter Kit fits virtually all kitchen faucets. 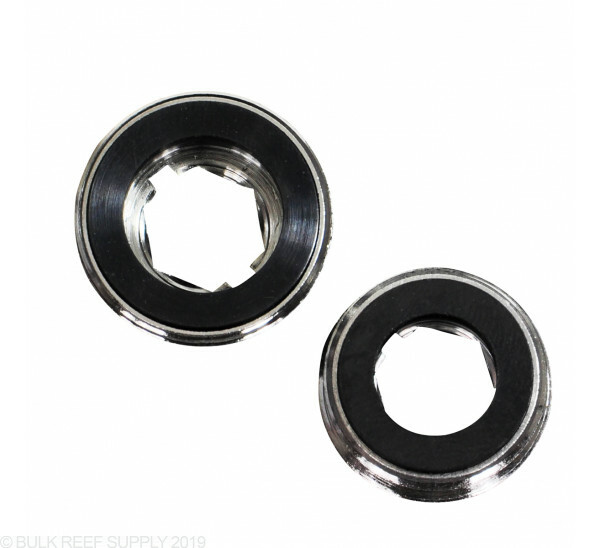 This item is designed for use with our saltwater aquarium line of RO systems. i used these adapters to connect my ro/di system to the kitchen faucet and worked exactly as described. These are very important adapters if you need them... can't make water without them! Makes a great seal and allows me to connect my system inside the house... which is important in our winters. In my 30 years of aquarium ownership, I have lived in a lot of places and have until recently used various faucets in various sinks to vacuum (using a venturi system) out tanks and put water back into my tanks. I have had similar adapters in brass and plastic that I have collected over the years that have either been lost, or destroyed from constant use. It is nice to finally have a set that is chrome. These will stay in my tank maintenance bag for times when I am helping others with their tanks. Once again, BRS knows what its customers want and need. i ordered the fault diverter and knew my faucet need an adapter. but i wasnt sure which. 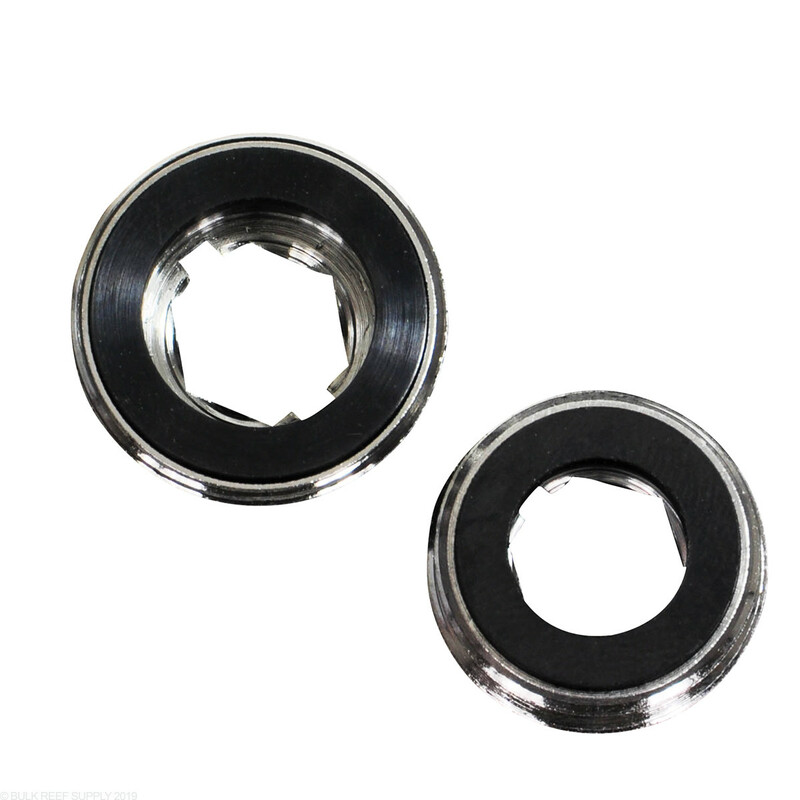 BRS is kind enough to give you 2 popular adapters at a low price for piece of mind. Comes in handy in case you move and don't want to plumb the system in again. Quick drop-in that still lets you use the sink, Might as well order it even if you don't think you'll need it! I bought the Chrome faucet diverter a while back but this doesn't work with my moen faucet since the faucet has a female outlet. Is this a double male to use with the faucet adapter or should I have just bought this to start with? My sink faucet doesn't have threads. How can I connect an adapter to it?! There are a few specialty faucets out there that simply do not have threads, and another connection option would be required. However, most faucets have an aerator that can be unscrewed revealing threads underneath. They do a pretty good job of making them a seamless look but in almost all cases if there is an aerator it can be unscrewed to be serviced. This will connect to the faucet and have a side barb fitting for the RO tubing to attach to. The water can be diverted to either the faucet or to the RO unit.